← My Therapist is a Dog! Dancing With . . . .
All modern domestic dogs are the direct descendants of the wolf. 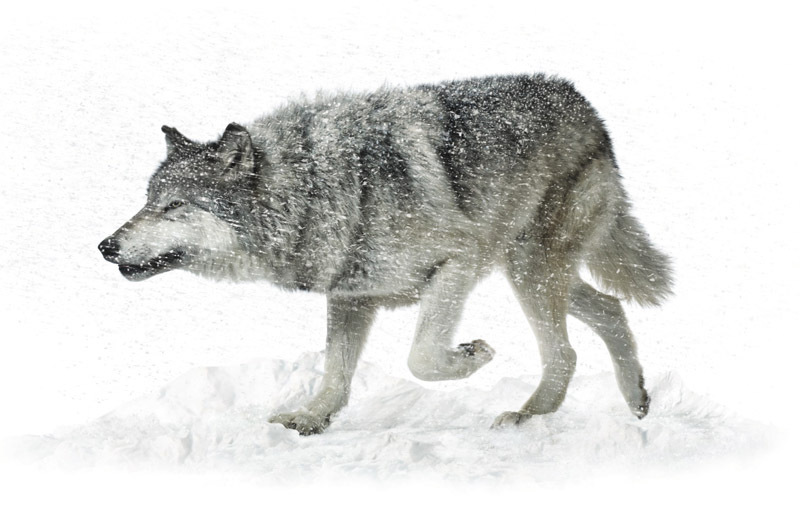 Tens of thousands of years ago, wolves came out of the forest and began their first interactions with humans. Some returned to the wild, but those that stayed were eventually domesticated and bred to become what we think of as “man’s best friend.” As a dog lover, I was thrilled to be awarded an assignment to photograph wolves for Emerson’s global advertising campaign. 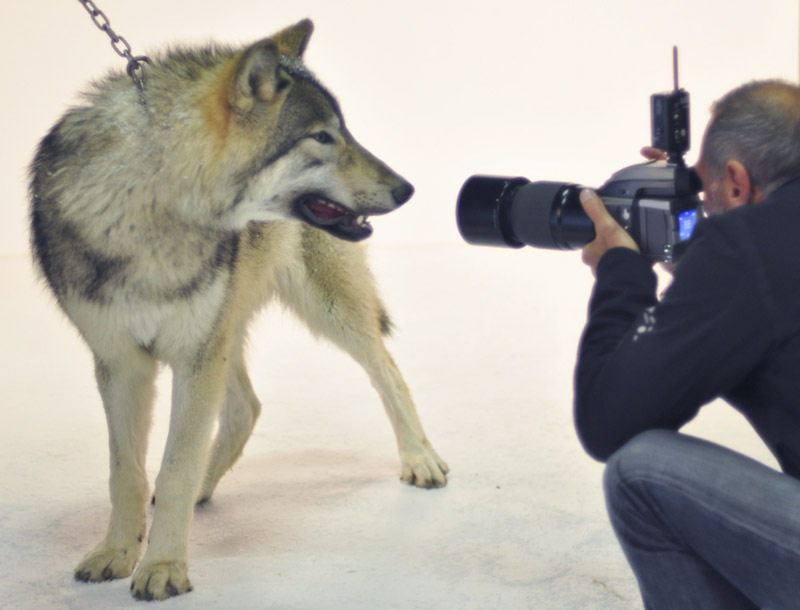 Many of the wolves used for movies and print have been bred to have a bit of domestic dog as part of their blood line, in order to make them more trainable. For Emerson, only a 100% purebred would be authentic enough for their needs. In the studio, armed with a fan and tossing eco-friendly artificial snow, we ran them past the camera time and again. 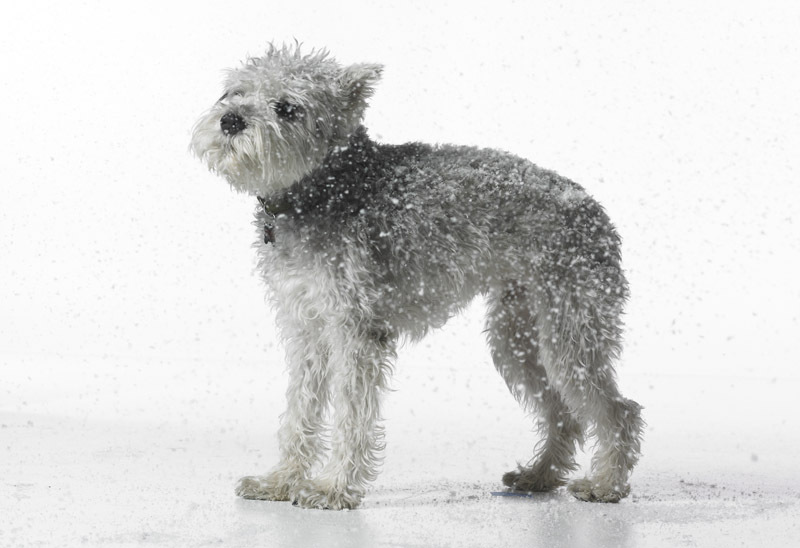 In order to keep these thick furred animals from panting, we lowered the temperature to 45°. Great for the wolves, but not so pleasant for our stand in dog – my daughter’s 4 year old Schnauzer, Gatsby. Photographing these beautiful animals was a real treat, and if you’d like to see more Behind The Scenes photos, click here. 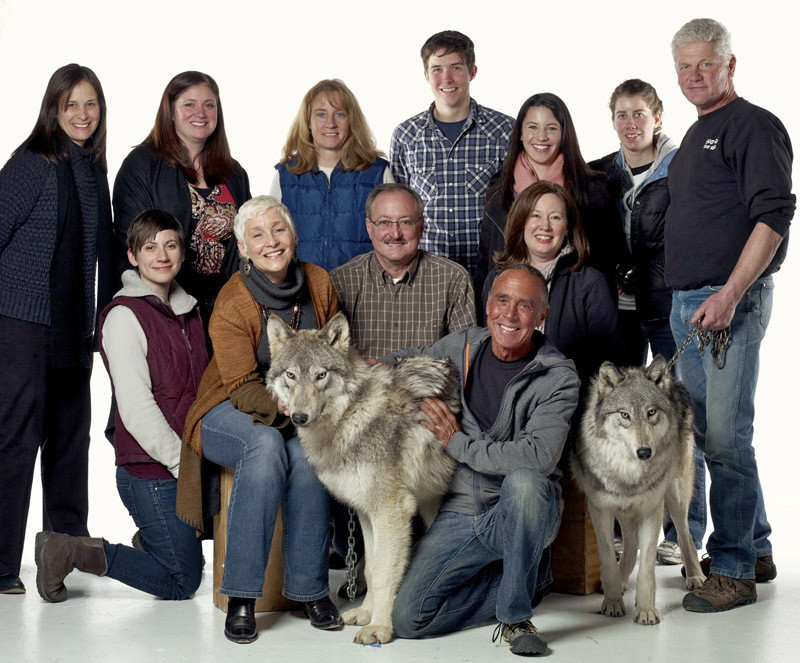 Client, crew, handlers and wolves. A good time was had by all! 3 Responses to Dancing With . . . . I love the behind the scenes! Fierce! I started my love affair with dogs determined to have a wolf-domestic canine mix. ’twas not to be, but your photos triggered the yearning, once again. And once again, because of your work, I am reminded of the beauty of wolves, the beauty of dogs, … The beauty of animals. I so love your blog! Muchas gracias!! P.S. Gatsby should get extra treats! Good to know of your work, Steve. I see the love in your eyes–and I appreciated being able to see a bit of how the shoot came together behind the scenes! (Is there a shot with two wolves looking in a mirror? ?…so funny and cute).